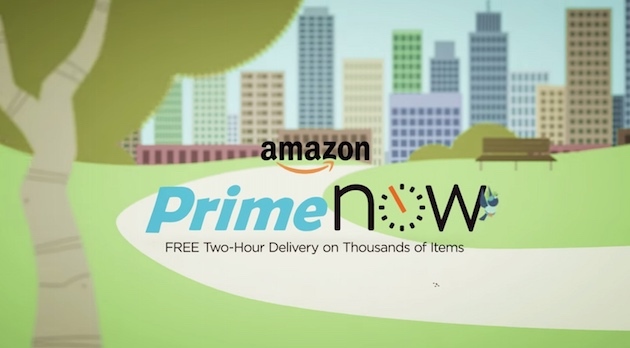 What New York Customers Love through Amazon Prime Now. Amazon Prime Now just released shopping data from last year’s holiday season, showing what customers order most in superfast speeds. Prime Now also announced that the New York Prime Now hub plans to leverage this data, along with recent Prime Now shopping data, to curate and update selection throughout the month to ensure a breadth of in-demand products for impatient holiday shoppers and procrastinators like myself ;)..
Gear & Gadgets – the AmazonBasics Apple Certified Lightning to USB Cable, the Amazon Basics High-Speed HDMI 2.0 cable and the all-new Echo Dot (2nd Gen). Since launching Manhattan three holidays ago, Prime Now has expanded to more than 30 cities across the U.S. and includes more than 20 local stores and thousands of restaurants in the service. According to Prime Now shopping data from last holiday, the most in-demand products changed dramatically in December thanks to impatient holiday shoppers. The Gearhead – In nearly all Prime Now locations, ethernet, HDMI, and USB cables were the top-selling items in advance of the holidays. Family Bonds – Pie Face Game, Connect4, and Star Wars Trilogy Episodes IV-VI DVD were best-sellers early in the month. The Gift Giver – Holiday gift wrapping, tissue paper, and gift tags were all in-demand for Prime members. Party Animal – Last-minute party supplies, such as plastic tablecloths, dessert plates, and party hats were must-haves in a hurry during the days leading up to Christmas. Technophile – Amazon Echo, Fire Tablets and Fire TV Sticks were the most-wanted last-minute items in Prime Now shopping carts. You can learn more about new service offerings and holiday sales trends from Prime Now in the accompanying infographic. Prime Now is offered exclusively to Prime members in Atlanta, Austin, Baltimore, Chicago, Cincinnati, Columbus, Dallas/Fort Worth, Houston, Indianapolis, Las Vegas, Los Angeles, Manhattan/Brooklyn, Miami, Minneapolis, Nashville, Orange County, Orlando, Phoenix, Portland, Raleigh, Richmond, Sacramento, San Antonio, San Diego, San Francisco Bay Area, Seattle, Tampa, Virginia Beach, and Washington, D.C. metro. Through Prime Now, one-hour delivery is $7.99 and two-hour delivery is free. I wish I lived in a city where you can use prime like this! You can buy all your Christmas gifts this way and not have to worry about crazy people!! Tell me aboout it! I’m in the Hudson Valleey and I’m still not close enough!